Students of the Griffin Elementary Science Enrichment Center make beeswax candles. To keep the flame of scientific curiosity burning strong in young minds, faculty and staff of the College of Science and Mathematics and the College of Education recently hosted fourth- and fifth-grade students from the Griffin Elementary Science Enrichment Center in Spalding County, Ga.
Held at the University of North Georgia's Dahlonega campus, the UNG personnel and volunteers set up four exhibits to illustrate a few of the scientific and cultural research projects currently underway at the university. "There are many reasons we want to expose kids to science at an early age," said Dr. Robert Fuller, professor of physics and director of the Environmental Leadership Center. "Science, engineering, and technology offer exciting and rewarding career paths that may steer the education of the students. Also, science impacts all of our lives; being familiar with science and understanding the processes that happen around us helps people make better personal and professional choices, and makes our lives more enjoyable by offering better understanding and stewardship of our planet." The exhibits included using mild acids and bases to adjust the color of natural water-color paints, which the students then used to make their own paintings. They also used Popsicle sticks, string, and hot beeswax to make small candles to take home. There were also exercises that helped the children learn about a variety of plants, birds, bees, and UNG's role in the fight to save the Hemlock tree. "Preparing students in the areas of science, technology, engineering, and math opens doors and provides options that many students are unaware of without direct exposure," said Barbara King, coordinator of the enrichment center. 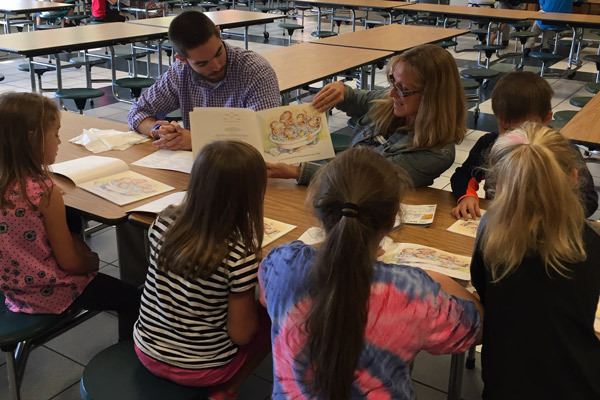 "Our students had fun, which is a critical component for young students to remain engaged enough to explore a topic, but they also learned a great deal about the subjects presented." King added that parents of the students were pleased with the activities as well as having their children visit a university campus. She said some parents wanted to learn enough about the activities to replicate them when they returned home. 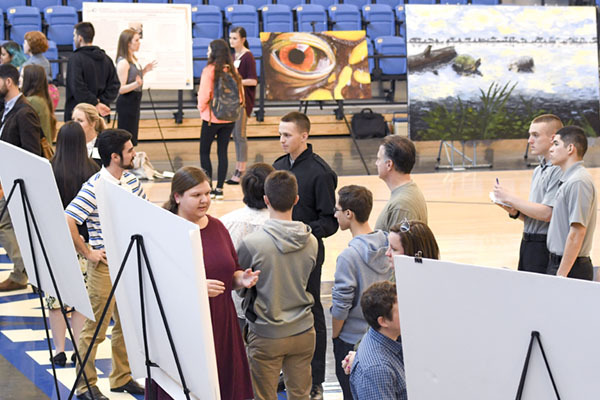 "The students loved the hands-on activities, seeing the displays, and having the opportunity to discuss the topics with the faculty," King said. "For example, students studying Colony Collapse Disorder affecting honeybee hives particularly liked making the beeswax candle, as it showed one more aspect of how honeybees add to our lives." King said she hopes to make visits to UNG a permanent addition to the center's ecology program.